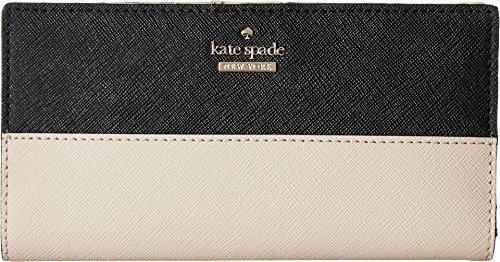 A Kate Spade New York wallet in saffiano leather. Logo lettering accents the front, and a zip pocket details the back. A snap closure opens to an interior with 4 cash pockets, 12 card slots, and an ID window.